Tornado Cars Ltd was a British manufacturer of sports cars and kits founded in 1957 by Bill Woodhouse and Tony Bullen. Based in Hertfordshire, the company offered a variety of models and went out of business in 1964. What we have here is a Typhoon, the first model the company sold. It was built from 1957 through 1962. It could be had already assembled or as a kit that fit to a pre-War Ford. The body is fiberglass and the engine (which could’ve been anything) in this case is a 1.2-liter straight-four out of a Ford. Although meteorologically a little confusing, this Tornado Typhoon is in amazing shape and has been completely restored. Only about 300 Typhoons were sold and it’s a car you rarely ever see (you rarely see anything from Tornado to begin with, much less this model). It is for sale in the Netherlands for $53,857. Click here for more info. 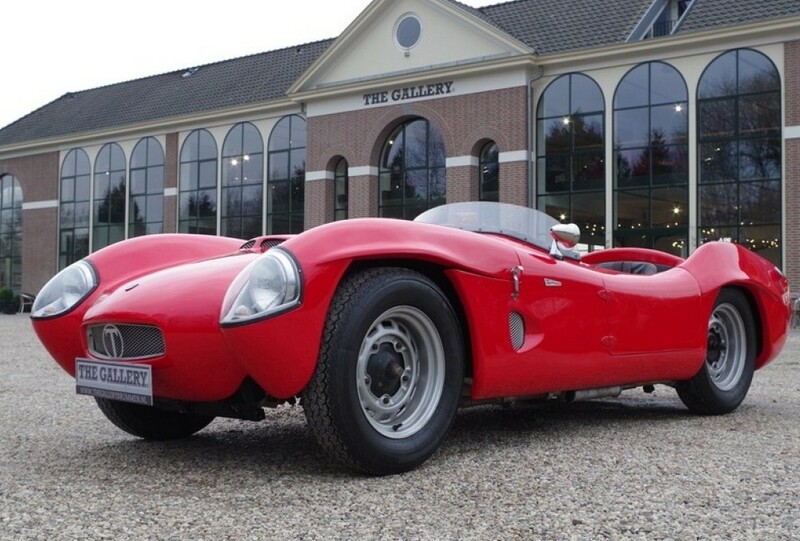 This entry was posted in Uncategorized and tagged 1960, cars, classic cars, for sale, the gallery brummen, tornado, typhoon by classiccarweekly. Bookmark the permalink.